In the spring months and moving into summer, it just seems like memory making season doesn’t it? Mother’s Day, Father’s Day, graduations, family vacations and reunions, birthdays and everything in between. One of my favorite ways to preserve memories has always been photos, which are always a popular gift as well. I have always thought that getting dad’s gifts for Father’s Day was one of the toughest. I mean, while dad will appreciate it, of course, does he really need a new tie or coffee mug? He’s sure to love photos of the kids from a shoot just to honor him though, right, not to mention the kids will have a ton of fun with it! 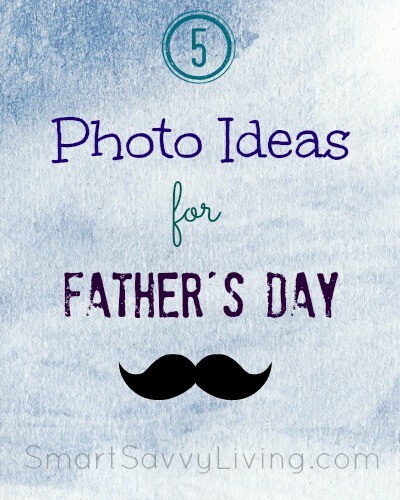 With that in mind, here’s 5 photo ideas for Father’s Day that you could put into an old-fashioned frame or a digital frame for dad. 1. Spell out DAD in 1 – 3 photos to put into a frame. This will of course work best if you have 3 children that can make the letters and is such a cute idea! If you don’t have 3 kids, you can always have the kids cut out paper letters to hold in the photos. If you have one child, you could draw a heart and D A D on their hands and feet before taking the picture as well. I also think it would totally cute to have the kids spell out dad with their hand prints on some poster board which could also be given to dad! 2. When I grow up I want to be just like you, Dad! Especially if you have younger kids, having them dress up in dad’s clothes and shoes for a photo shoot is sure to bring laughs and smiles all around. 3. Have the kids create their own photo-worthy backdrop. Have the kids get their artistic juices flowing and create a backdrop to be in their photo for dad! You could use the large rolls of paper or even chalk on your driveway. 4. 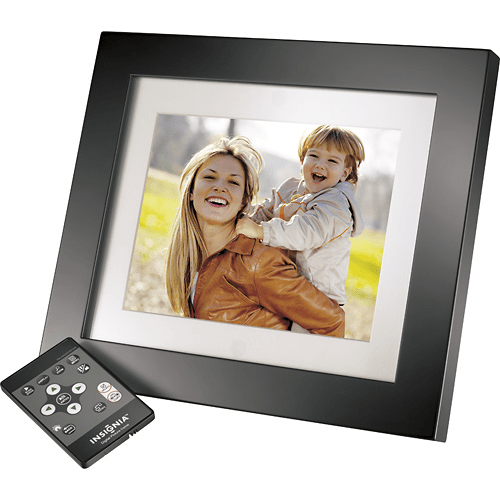 We love dad because… Snag a large frame that you can use multiple photos in. Have the first be text that says We <3 Dad Because…. and have the rest of the photos be of the kids holding signs of why they love dad or doing something they love dad for doing. Some ideas could be the kids tickling each other because he makes them laugh, wearing chef hats because he cooks, etc. 5. A photo of something they make for dad. It’s always nice to give dad something extra special on Father’s Day, but things can get lost, broken, etc. Have the kids gather around something special they made for dad this year such as a cake, picture, etc. so dad can look back on the day and always keep it close to his heart. I love how there are so many ways to take photos these days between all the cameras and smartphones, but I still find it takes a rather good camera to take print-worthy pictures. I was so happy this year to finally be able to invest into a DSLR camera not only for my blogging business, but also to be able to catch memories as they happen. I love how it can take such beautiful and crisp photos whether it’s what we had for dinner, the cats being cute and everything in between. Certainly a lot better looking than pictures taken with my smartphone that you can see in our earlier posts! When I was finally ready to purchase my new camera, I immediately headed over to Best Buy to try them out and see which would fit my needs best. I was so impressed with the variety of cameras they had to fit all budgets and needs – compact, point and shoot, DSLR and camcorders! Plus, with Best Buy’s low price guarantee, I knew I’d be able to get the best deal possible – not to mention that there’s free shipping on all cameras at BestBuy.com. Did you know that if you’re looking to upgrade cameras, you can even bring in your old camera to trade in for a Best Buy gift card to go towards your new purchase? How cool is that! Plus, for a limited time you can get an additional 25% off select digital photo frames at BestBuy.com. What are some of your photo ideas for Father’s Day? These are such fantastic ideas. My kids love making their own crafts for Father’s Day. We might play around with my DSLR camera to see what we can come up!